Tina Eboka holds degrees in textile engineering and applied mathematics, and has an MBA from Philadelphia University. 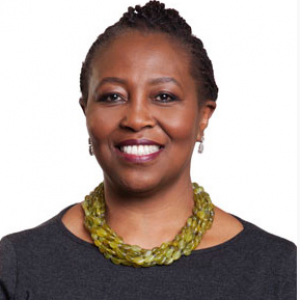 She was previously the executive director of Group Corporate Affairs with Standard Bank of South Africa, and has worked in various leadership roles at the Council for Scientific & Industrial Research (CSIR). Tina was appointed as the Group MD of the NTP Radioisotopes group of companies in 2014. In 2016, she was elected as vice-chair of the OECD Nuclear Energy Agency’s High-level Group on the Security of Supply of Medical Radioisotopes (HLG-MR).